Lets celebrate our Energy Stars! Do you have a success story that you would like to share with us? We are collecting and documenting examples from across West Virginia of municipalities, schools, and others that have reaped major rewards from investing in energy efficiency. E-mail stacy.eewv@gmail.com or call us to have your project listed here. The Wyoming County School System in southern West Virginia has realized significant savings through energy efficiency. In 2003, the school system created a formal energy plan where they prioritized new projects based on the cost per square foot to operate. Since January 2004, the school system has saved more than $2 million in energy costs through investments in energy management systems, motion sensors, upgraded heating equipment, more efficient lighting and other efficiency measures. Currently 10 of the 14 schools in the county are EnergyStar certified, although all 14 meet EnergyStar Standards. The average cost to operate the schools in this county is $.94/sq. ft., which is much lower than the national average of $2/sq. ft. Terry Tilley, the Wyoming County School System Energy Manager, has used the EnergyStar Portfolio Manager program to achieve many of these savings. For more details on Wyoming County's efforts, read this article. 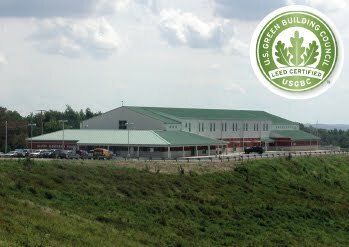 Hilltop Elementary School, in Marshall County, West Virginia, designed by McKinley & Associates architect Thom Worlledge, won the prestigious LEED® Green Building Certification, the first school in the State of West Virginia to achieve this national recognition. Hilltop Elementary is a rural Marshall County school housing 410 students from pre-kindergarten through fifth grade. The building was placed on an old football practice field behind an existing middle school. For more information read these articles. The City of Williamson has developed a local energy action plan that will engage rural communities in southern West Virginia and eastern Kentucky to achieve energy savings goals by investing in cost-effective and low impact technologies and local workforce training. Through this planning process, participants will identify regional assets while developing a model for sustainability as the community seeks to rejuvenate its energy economy. The city will hire an energy coordinator to guide implementation of the energy action plan, install three solar PV arrays on public facilities, and obtain an Energy Star certification for the emergency services building, resulting in an anticipated annual energy savings of at least $2,500. Williamson will also create a smart office to showcase energy saving techniques and spark clean0energy entrepreneurship, helping to promote the training of 95 individuals in energy efficiency, solar technology, and green building standards. Habitat for Humanity is a leader in building energy efficient homes. Habitat recognizes that utility costs are a significant burden for low-income households, and building a house to be energy efficient is key to making it affordable. Almost Heaven Habitat for Humanity, which serves Greenbrier, Pocahontas and Pendleton counties, made a commitment to energy efficient building in +2000. They now build all of their homes to EnergyStar and to the stricter Earth Craft homes certification. Their homes include features such as: insulated foundations, structurally insulated panel exterior walls, efficient windows and doors, on-demand water heating, R-38 ceiling insulation, low-flow water fixtures, EnergyStar appliances, and efficient lighting. Almost Heaven Habitat homes use 50% less energy than an average home. 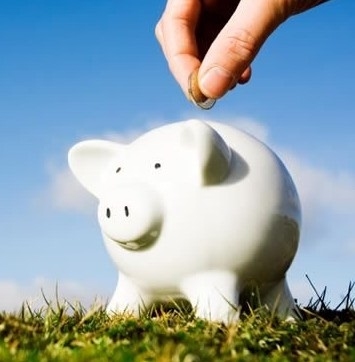 Families save over $500 in utilities each year or more than $10,000 over the life of their mortgage. Almost Heaven Habitat is living proof that building to strong energy efficiency standards saves homeowners money over the lifetime of their building. The City of Huntington and other cities in West Virginia are making investments to improve the energy efficiency of their facilities at no cost to taxpayers. These cities entered into performance contracts with energy service companies (ESCOs); the ESCO guaranteed the level of savings and installed the equipment, and the cities are paying back the ESCO out of the savings on their utility bills. In 2011, Huntington entered into a $2.4 million contract to reduce energy use in 18 municipal buildings by 25 percent. This investment will be paid off out of utility savings for 15 years. The upgrades include air sealing, replacing HVAC systems, improving lighting efficiency, installing building controls and energy management systems, and switching traffic signals to efficient LEDs. Other cities have also entered into energy performance contracts. Morgantown, Clarksburg, Beckley, Martinsburg and Wheeling together will save more than an estimated $550,000 in utility costs over the next 15 years. According to Constellation Energy, an ESCO that has completed more than 4,000 projects, customers can expect to achieve savings of 20% on average through cost-effective energy efficiency measures. Unfortunately for smaller municipalities, partnering with ESCOs is more difficult as they are typically not interested in small projects. Additional resources and incentives are needed to encourage smaller municipal governments to take advantage of the potential for significant savings through efficiency. Appalachian Power's commercial energy efficiency program has incentivized businesses to become more efficient. Charleston based Wells Home Furnishings has achieved significant savings by taking advantage of rebates from the program. The company replaced 872 75-watt spotlights with 15-watt LEDs and reduced its energy bill by more than 50%. The LED lights are expected to last 10 years, and the company will save close to $200,000 over the lifetime of the bulbs. This estimate does not include savings from reduced air conditioning although the LEDs put out less heat than the halogen bulbs they replaced. The investment in the more efficient bulbs will pay for itself in about one year. Toyota Motor Manufacturing also took advantage of Appalachian Power’s commercial energy efficiency program by investing in about 2,000 efficient lights that use about half of the energy of the lights they are replacing, and motion sensors to further save energy. With a rebate of nearly $200,000 from Appalachian Power, the lighting and controls upgrade will pay for itself in less than two years. received for their EnergyStar rated schools. A picture of Hilltop Elementary, which serves 410 students from Pre-K to Fifth Grade. The Williamson Community Center - one of the five buildings that will be improved and made more energy efficient in Williamson. Performance contracting is saving these West Virginia cities money! Wells Home Furnishings, a Charleston based company, has reduced their energy bill by more than 50% by switching to LED lightbulbs! These investments will pay for themselves in less than a year.